Give us a call to see how we can help with your next meeting or company event. 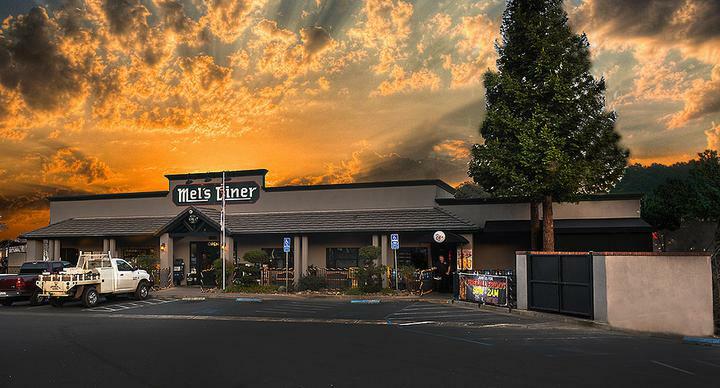 Mel & Faye's Creekside Banquet Room is a favorite meeting location for many clubs, organizations and businesses. 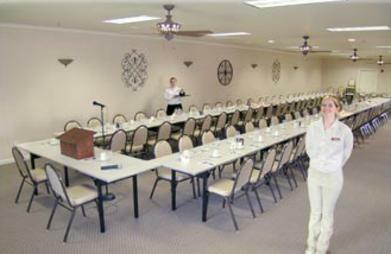 The banquet room and conference center is located on the first floor of the diner. There is plenty of parking and convenient, easy access from either the street, or the second floor restaurant (via the elevator and staircase). We can seat up to 150 guests, catering fresh-prepared meals with elegant tableware. Your keynote speakers will be heard by all in attendance, using our eight speaker, total room sound system.